Frederick Percival Morris was born in Headington on 19 September 1898, the son of Frederick Morris (born in Headington in 1863 and baptised at St Andrew’s Church on 27 December) and Sophia Jane Coleman (born in Headington in 1866 and baptised at St Andrew's Church on 29 April). 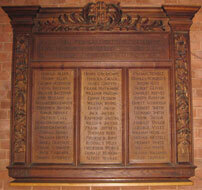 Daisy Sophia Morris (born in Headington on 6 October 1902 and baptised at St Andrew’s Church on 4 January 1903). At the time of the 1891 census Frederick's father was at home in St Andrew’s Road with his four-year-old daughter Mabel, while his mother was visiting her parents, John & Matilda Coleman, at 55 Magdalen Road in east Oxford with her daughter Edith (2) and baby Gilbert. From 1898 Frederick’s father was described as a gardener rather than a shoemaker, and by the time of Elsie’s birth in 1899 the family had moved to 11 Westbourne Terrace on the London Road. 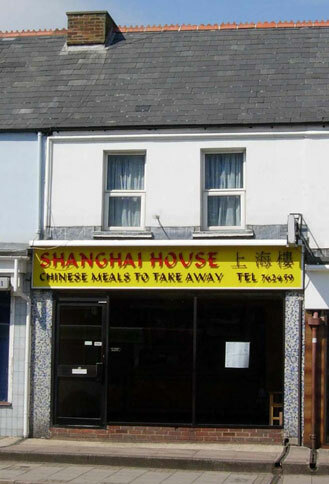 This is now the Shanghai House takeaway at 127 London Road (right). At the time of the 1901 census Frederick (2) was living at Westbourne Terrace with his father Frederick (37), his mother Sophia Jane (35), and his five older siblings Mabel (14), Edith (12), Gilbert (10), Mildred (8), and Lucy (5). 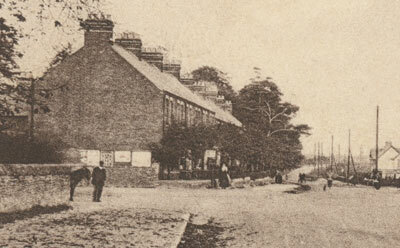 By the time of the 1911 census the family had moved to 9 New High Street in All Saints’ parish. Frederick (12) was still at school (almost certainly Headington National School) and was living there with his father Frederick (47), who was a gardener, his mother Sophia Jane (45), and his younger sisters Elsie (11) and Daisy (8). In the First World War Frederick Percival Morris served as a Private in the 9th Battalion of the Devonshire Regiment (Service No. 31553). He died of wounds in France on 10 November 1918 (the day before Armistice Day) at the age of 20 and is buried in the Busigny Communal Cemetery extension (II.B.16). Mrs Sophia Jane Morris died at 9 New High Street at the age of 56 and was buried at Headington Cemetery on 22 November 1922. Frederick Morris died in 1933. (His name is shown on the above grave but is not entered in the cemetery register, so he may have been cremated). Edith Morris (born 1888) was described as living in The Croft, Old Headington when she married Edward Thomas Garner, a joiner from Northamptonshire, at St Andrew's Church on 26 December 1917. Daisy Sophia Morris (born 1902) married Percy A. Blake in the Headington registration district in the fourth quarter of 1923.